This product is made from Eco-friendly, Bio-degradable Bamboo. 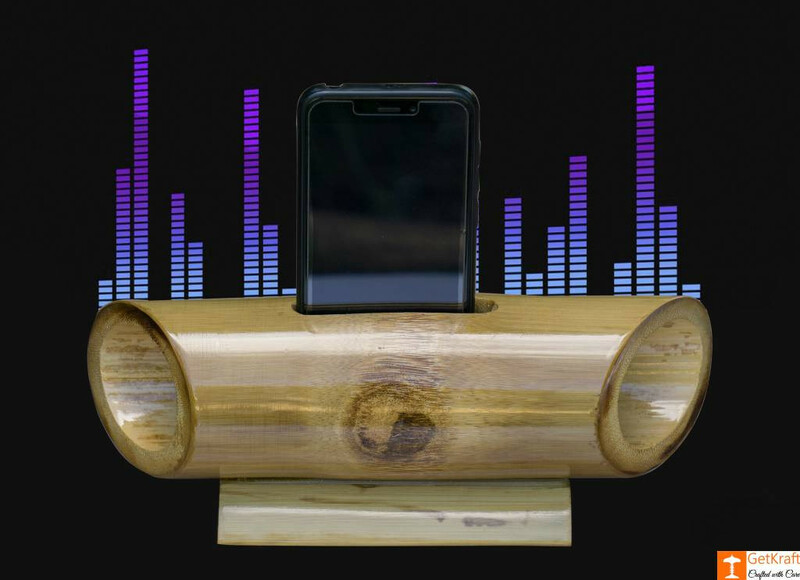 It is a Bamboo Speaker, a Naturally Handcrafted Sound Amplifier, with the help of which you can increase your music sound without electricity, bluetooth, aux cable or wifi. Also acts a mobile phone stand. A Stylish Docking Station For Mobile Phones and for Amplifying Sound. Outer surface is processed, so it is durable and water-proof!